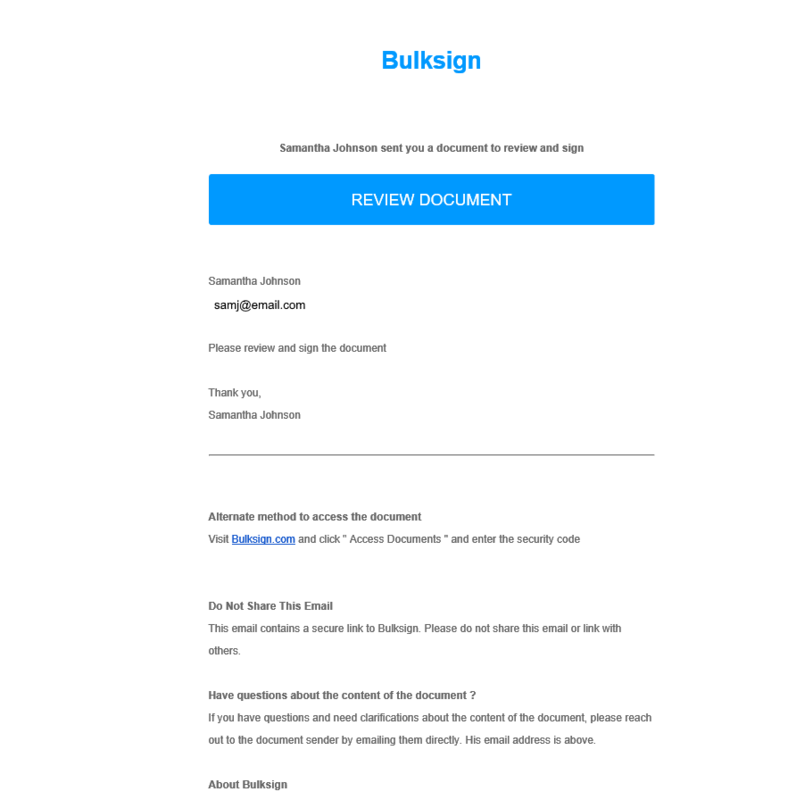 You will receive a email on behalf on the document sender, which contains a secure link to Bulksign. Click the "Review Document" button from the email to access the document to sign. Additionaly the email will also contain a secure document access code. You can also access the document by pasting that code in Bulksign "Access Documents" page. If the document sender has enabled document authentication, you will be required to authenticate yourself before being allowed to read and sign the document. If the sender used passsword authentication, use the password provided by the sender. For SMS authentication you will request a OTP code that will arrive by SMS (using the phone number provided by the document sender). Enter this code before the time expires to access the document. file attachment : the sender wants you to attach a file. Please read the file attachment request from sender and attach the required file. form filling : the sender wants you to enter the required data in a certain form fields (usually a textbox). 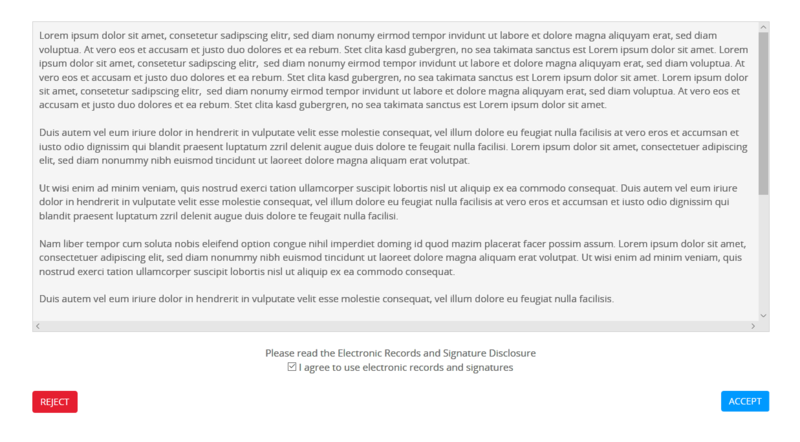 signing - click the "Sign" button to sign the document. If the sender enabled "Automatic Finishing" after signing the last signature field, the document will be finished automatically. Othewise, please click the "Finish" button to finish the document and send it back to the sender.